Western countries are known for their fashion and lifestyle but in the last few decades India makes the remarkable growth in fashion industry. Indian fashion is one of the oldest fashion traditions because India is the country with very widespread diversity. Indian culture has lots of spirituals, festivals etc. so that the fashion of different cultures are also different. That is the reason that the India has the largest and most divestible fashion tradition. Hence the India has very good scope in fashion industry and it is very good career option for the students. Fashion designing courses can be opted either by completing school education or by completing graduation. There are so many institutes affiliated by state universities, private universities or govt. universities which offers professional course in Fashion technology. The national capital of the India, Delhi is the center of the various arts, fashion and cultures because there are every kind of culture can be seen frequently either western culture or Indian vivid culture. In Delhi people from all around the India as well as from world are living together which results in exchange of culture and fashion. There are so many fashion institutes in Delhi which offers various courses in fashion technology. People from not only India but from all around the world comes to India to take admission in top fashion technology colleges. The main reason for coming to India is the vividness of Indian fashion so that the fashion designer enhance their diversity of thinking. For this Delhi is the first choice for the students because fashion institutes in Delhi are considered as one of the most promising fashion technology colleges across the globe. When we are talking about the scope and career prospects of this course then the fact you should know is that fashion is the one of the fastest growing industries across the globe from the last few decades. In the past fashion is only available for the high profile societies but now it is only history because in today’s world fashion becomes the one of the basic requirements of all the societies. Fashion designing courses are not only limited to the designing of jewelry and cloths but it is also covers the area of household decoration, interior design, leather manufacturing and design, textile design etc. 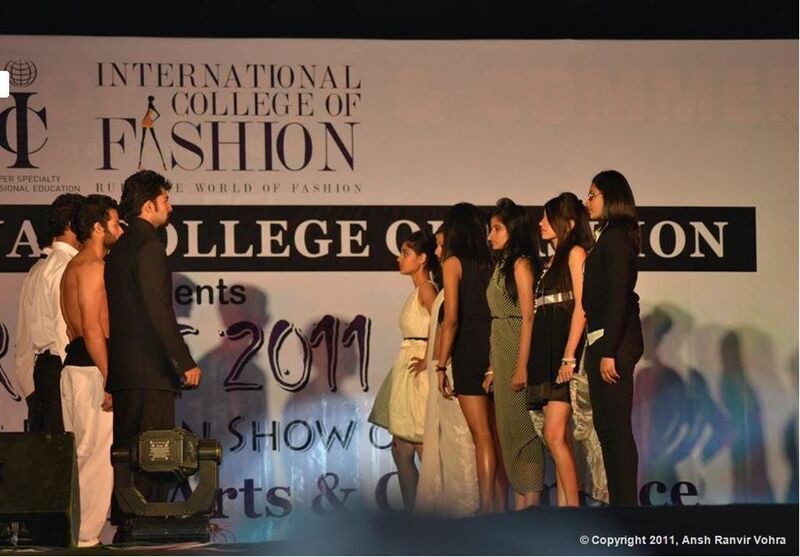 International College of Fashion, Delhi offers courses in Fashion technology with different duration and certification such as 2 year MBA program in Fashion Entrepreneurship, 1 year PG Diploma Course and 3 years BBA program in Fashion Entrepreneurship. With years of excellence and quality education we are developing the students into a highly skilled professional which have ability to work within an organisation or they can works individually.